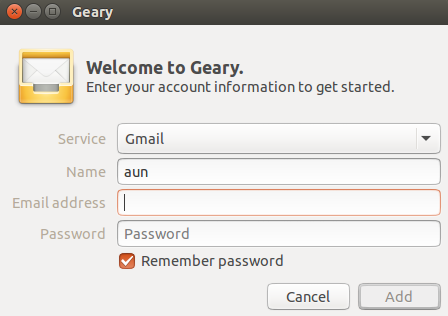 Geary is the default IMAP client application for GNOME desktop environment. It works fine on all popular Linux desktop environments including Unity, KDE as well. It is a simple, straightforward, easy to use email client application and works quickly and flawlessly. It offers a full featured HTML mail composer and supports all popular email systems like Gmail, Ymail, Outlook.com, and other dovecot, Cyrus and Zimbra based email systems. Although, Geary does not have a long features list, but it gets the job done. You can trust it for your email retrieval and sending needs. The most recent version of this app is 0.10.0, lets see how we can install it on Ubuntu Linux. First of all download the latest Geary version from following URL. Once “./configure” command completes successfully, run following command. That’s it, we are on the last step now, run following command to complete the installation of Geary’s latest version. Congratulations, Geary has been installed now. Launch it from Applications menu. There you go, start using this tiny awesome email client application. If you are having trouble installing most recent version or just want to install bit old but stable version of Geary, it’s pretty simple. 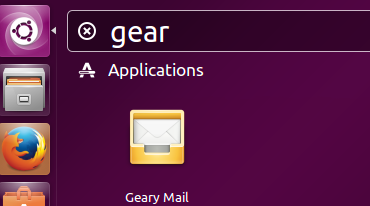 Geary is already included into Ubuntu Package manager repositories, simply run following command on your system terminal and it should install Geary for you. Geary is simple, yet productive application. Unlike many other applications of the same nature, it’s functionality can not be extended via plugins. It should suffice for your email needs but if you are looking for email client apps with abundance of features, you should probably go for Thunderbird or Seamonkey.